FRANKLIN – The Crockett Bulldogs entered Friday’s finale with a playoff spot locked up. All that was left was the question of seeding. A Crockett win and the Bulldogs were district co-Champions along with Franklin and Diboll. Unfortunately, that wasn’t in the cards, as Franklin ran off 33 consecutive points on their way to a 73-28 win. That win, plus a Yoakum loss, helped vault Franklin to the top ranking in Texas on Monday morning. Crockett got off to a strong start with sophomore Joshua Hudson returning the opening kickoff for a touchdown. That return gave Crockett an early lead, and filled the team with confidence. That confidence would be short lived, as Franklin didn’t take long to score. In fact, the Lions stormed down the field and scored in less than a minute. 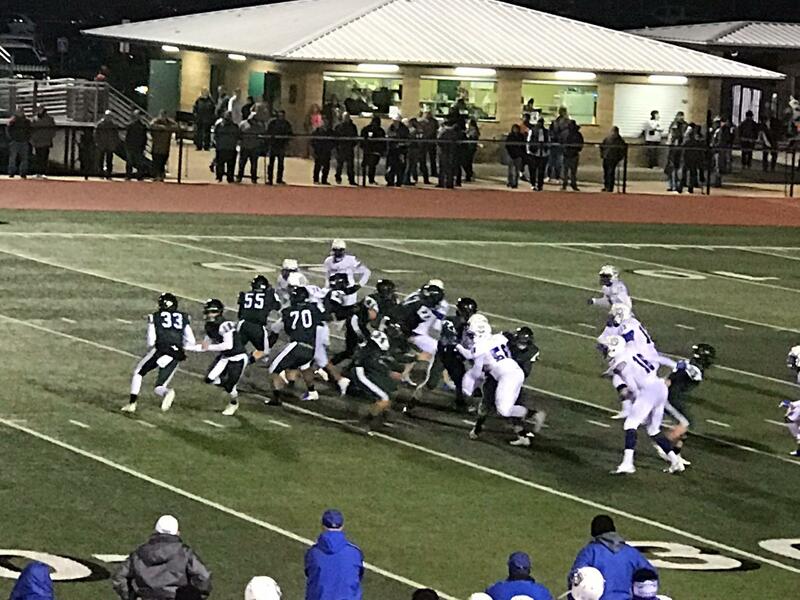 Five minutes later and the Lions were in the end zone again, giving Franklin a 12-7 lead, a lead the Lions would not give up for the remainder of the night. After amassing a 33-7 lead, Crockett would finally break through and get into the end zone on an eight-yard pass from Jordan Bedford to Alton Owens. Franklin would respond with another touchdown, before Bedford struck for his second touchdown pass of the half. 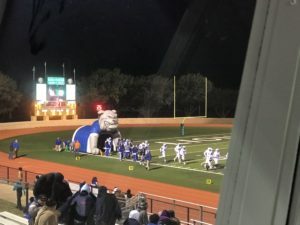 This time Bedford would connect with Demarcus Richardson from 11-yards out to make the score 40-21. 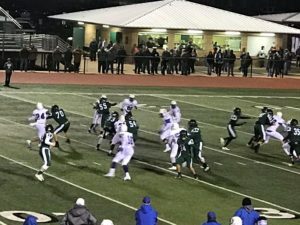 Franklin charged down the field to score again just before the end of the second quarter, allowing the Lions to carry a 47-21 lead into halftime. Crockett would add one more touchdown in the second half, a three-yard scamper by Allen Horace, but the damage was done as Franklin charged away for a 73-28 victory. For Crockett, the offensive numbers weren’t bad, as the Bulldogs held their own against a defense that didn’t allow any point in district play until the previous week against Diboll. The 28 points scored by Crockett is the second most the Lions have given up this year, with Lorena scoring 30 in Franklins lone loss this year. Bedford still put together a strong night passing the ball. Against the Lions vaunted secondary, the Bulldogs quarterback completed 18 of 26 passes for over 200 yards and three touchdowns. The only hiccup came early with a pair of interceptions. Crockett will now look to move on quickly as they prepare for their playoff run. Awaiting Crockett in the first round of the playoffs will be the 12-3A-DI runner up, East Chambers. The Buccaneers finished the regular season with a 9-1 record, including a 6-1 mark through district play. East Chambers lone loss came in their district opener, when the Woodville Eagles snatched a 42-31 win. Since then the Buccaneers have run off six consecutive wins, each by over 20 points. Kickoff for that game is scheduled for 7:00 pm from Eagle Stadium in Woodville. For pictures and a complete recap, check back in The Messenger.